Asquith Soccer Club will continue to provide more opportunities for your child to play soccer the way they want in 2019 with even more Girls teams from Miniroos to U16. 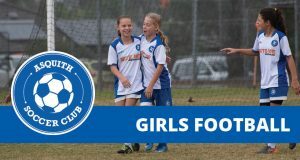 Whether your child would like to play in a Girls or Mixed competition, we have the team for them. And with access to the XLR8 skills development program, your child can develop their skills regardless of their ability or the team they play in. Contact our registrar on registrar@asquithsc.org.au for more information.